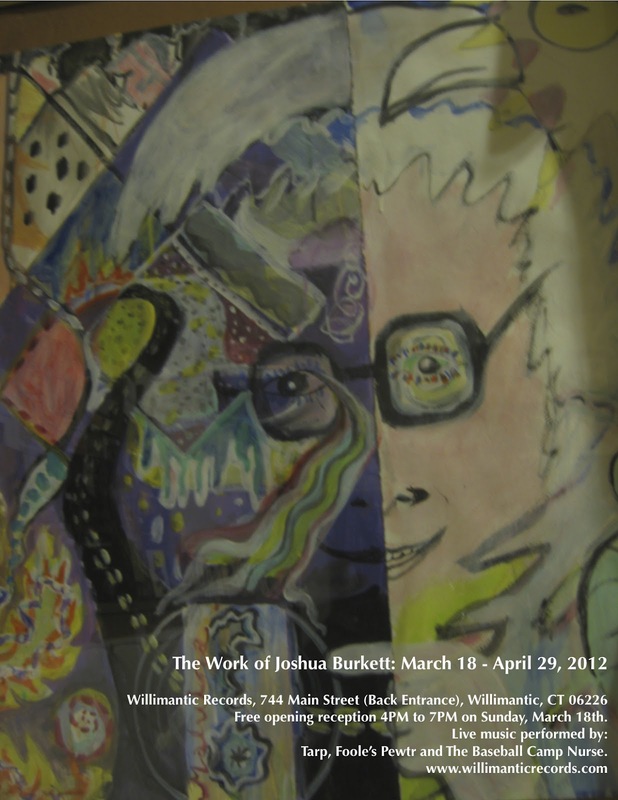 This is the first art exhibition for Willimantic Records, Connecticut's new used record shop. On Sunday, March 18th, from 4PM to 7PM, Joshua Burkett (owner of Mystery Train Records), will perform. Josh might play solo, or be playing with Conrad Capistran as Tarp or as a member of Frozen Corn. Baseball Camp Nurse will play at 4PM, followed by Foole's Pewtr (Ron Schneiderman and Dredd Foole).